When will be Dr. Slump next episode air date? Is Dr. Slump renewed or cancelled? Where to countdown Dr. Slump air dates? Is Dr. Slump worth watching? Dr. Slump is a very funny anime, based off the first best selling manga of Akira Toriyama, the creator of the world-famous Dragon Ball Z. It's popularity is small in the western world, but in the east, it is well know, and much loved. The story begins when Dr. Senbei Norimaki, a.k.a. Dr. Slump, the fat, stubby legged 'genius' creates the perfect human android, who is later named Arale Norimaki. Arale makes many friends, such as Akane Kimadori, a trouble making 8th grader, and her cousins Taro, a high school drop out, and his little brother Peasuke Soramame. The humor is best suited for those over the age of 13, as there are a few suggestive themes, as well as underage smoking and slight alcohol consumption. Dr. Slump is sure to make you giggle, so I suggest it to everyone. 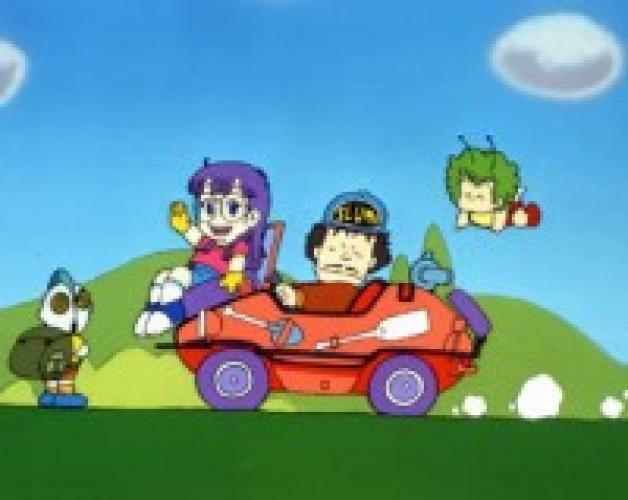 EpisoDate.com is your TV show guide to Countdown Dr. Slump Episode Air Dates and to stay in touch with Dr. Slump next episode Air Date and your others favorite TV Shows. Add the shows you like to a "Watchlist" and let the site take it from there.